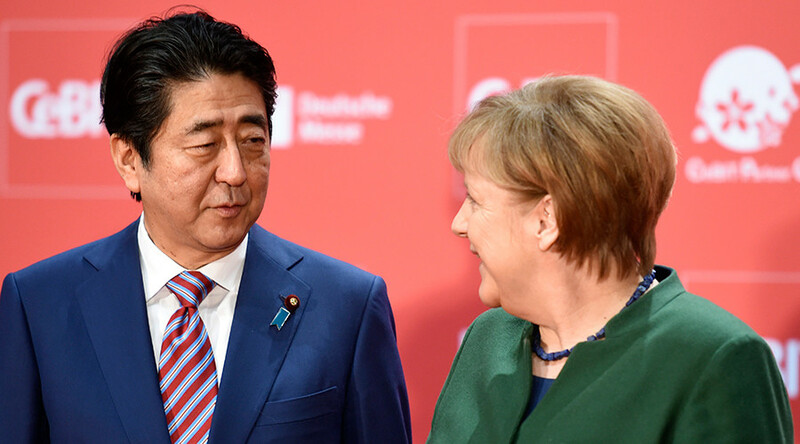 German Chancellor Angela Merkel and Japanese Prime Minister Shinzo Abe have called for a free trade deal to be reached quickly between Japan and the European Union, saying global markets can be both open and fair. "In times when we have to argue with many about free trade, open borders, and democratic values, it's a good sign that Japan and Germany no longer argue about this but rather are seeking to shape the future in a way that benefits people," Merkel said on Sunday as the German and Japanese leaders opened the CeBIT technology fair in Hanover. 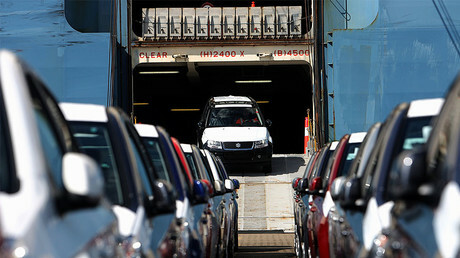 He said that after nearly four years of negotiations, the European Union and Japan should soon sign a free trade deal. European Commission President Jean-Claude Juncker is expected to meet with Abe on Tuesday. Japan is the EU’s second-biggest Asian trading partner after China. Last year it accounted for about $134 billion in trade. Statistics show that together with the EU it accounts for more than a third of global economic output. Merkel welcomed the Japanese PM’s comments. "It's very good that Japan says we want a free trade agreement, we want it soon because that could be the right statement and Germany would love to be a driving force behind this," she said. Merkel and Abe’s comments follow the G20 meeting which according to some experts reflected rising protectionism in the US as financial leaders' have dropped their traditionally strong support for free trade. "That's an obvious reflection of the shifts in the political winds in the United States and indicative of a US economy that is backing away from multilateralism," Stephen Roach, former Morgan Stanley Asia Chairman told CNBC. Last week, Merkel held inconclusive talks with the US President Donald Trump. Since being elected, Trump has vowed to narrow the $50 billion trade imbalance between the US and Germany. Trump has also accused Japan of limiting the access of American goods to its domestic market as well as devaluing the yen to boost exports, something Abe has denied.